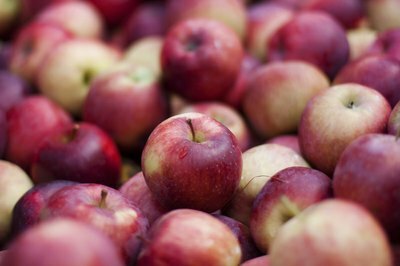 In 1960, University of Minnesota breeding program created the Honeycrisp apple, releasing documentation that the species was a cross between a Macoun and a Honeygold. DNA testing conducted in 2004 denied that parentage and designated the Keepsake apple as one-half of the cross. The other half remains unknown. The Honeycrisp apple tree is the social butterfly of apple trees--it gets along with most species of apple trees except another of its species. 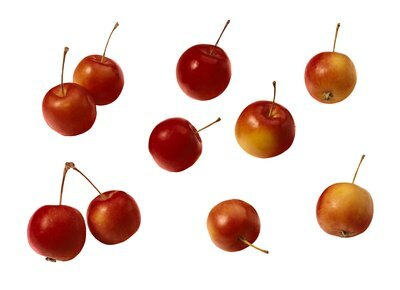 The Manchurian crab apple originated in Asian, northern China and Japan. The low-growing crab apple sprouts white flowers in spring with oval-shaped leaves. The flowers turn into small, 1/2 inch crab apples. The Manchurian crab apple grows between 10 and 15 feet tall and prefers loamy soils with large amounts of organic matter for fertilization. It draws elk, deer and other wildlife. Though somewhat different than the Honeycrisp, it pollinates Honeycrisp apple trees. The Liberty apple originate at the New York State Agricultural Experiment Station, which spent decades creating and testing trees to create one resistant to apple scab, cedar apple rust, fire blight and mildew. The Liberty, named for its resistance to diseases, resulted from a Macoun and Purdue 54-12. the Purdue 54-12 was an experimental tree with flowering Japanese crab apple in its parentage, which gave the Liberty most of its resistance. The Liberty produces deep-red apples that average 2 3/4 to 3 inches. The liberty is used primarily in desserts. It can pollinate the Honeycrisp. 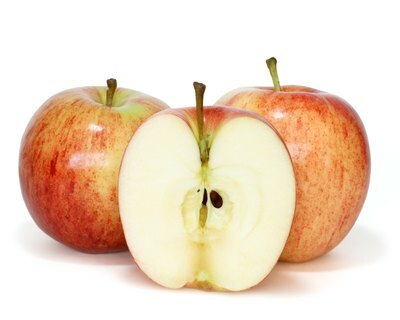 The Golden Delicious has a mild, sweet favor with a signature yellow-green skin. Chefs use it in salads, sauces and pies. 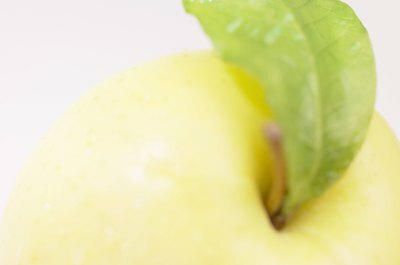 The Golden Delicious is not related to the Red Delicious, despite the inference in its name. 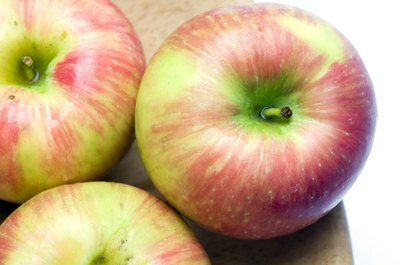 The Golden Delicious pollinates the Honeycrisp and its fruit ripens in early fall. The Gala apple tree originated in New Zealand and matures an orange-red. 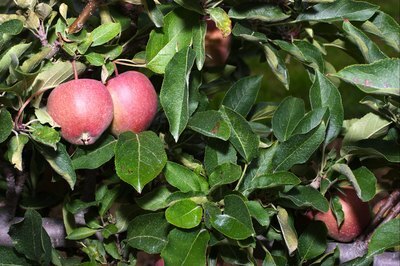 The Gala has a sweet flavor, and it is primarily used as a dessert apple. Relatively thin-skinned, the gala ripens in late July to August. It pollinates the Honeycrisp apple tree.